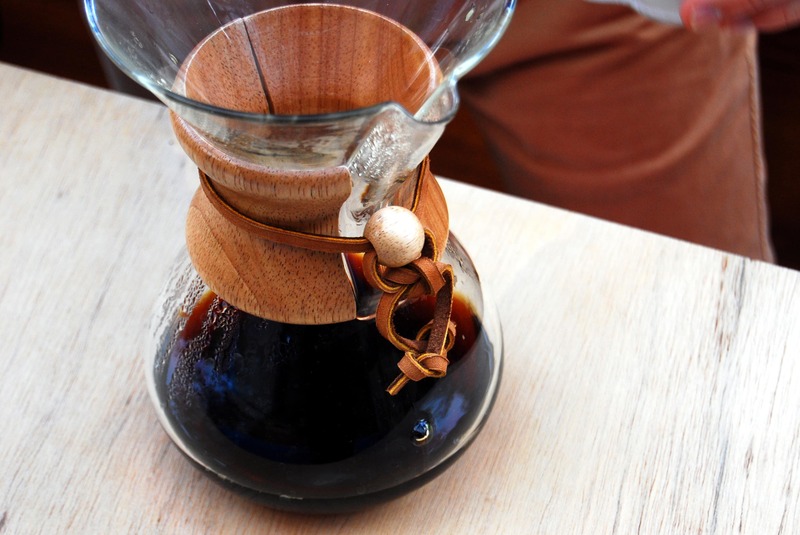 The Chemex is a real gem. It is even exhibited at the Museum of Modern Art in New York City as being “one of the best-designed products of modern times”. 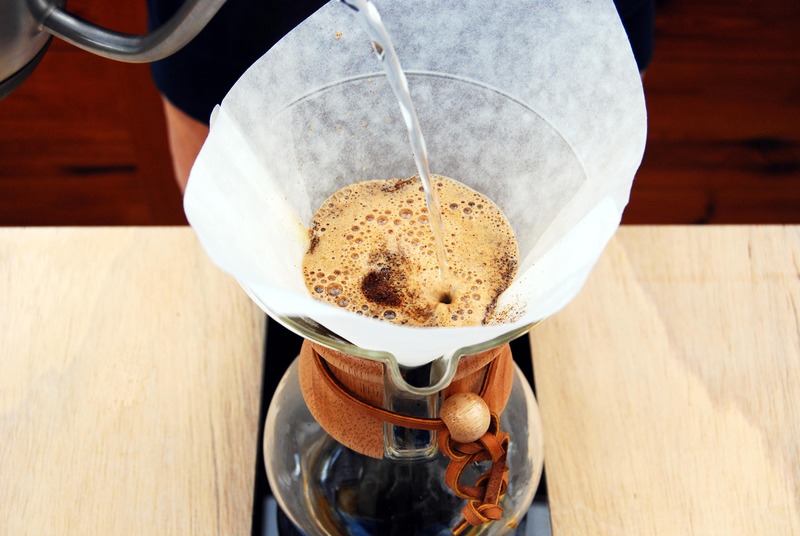 The Chemex was invented in 1941 by chemist Peter Schlumbohm – hence the shape, which is reminiscent of an Erlenmeyer flask. Since then, the Chemex has been popular with coffee afficionados as well as in film and literature: The early James Bond drank his coffee from a Chemex. 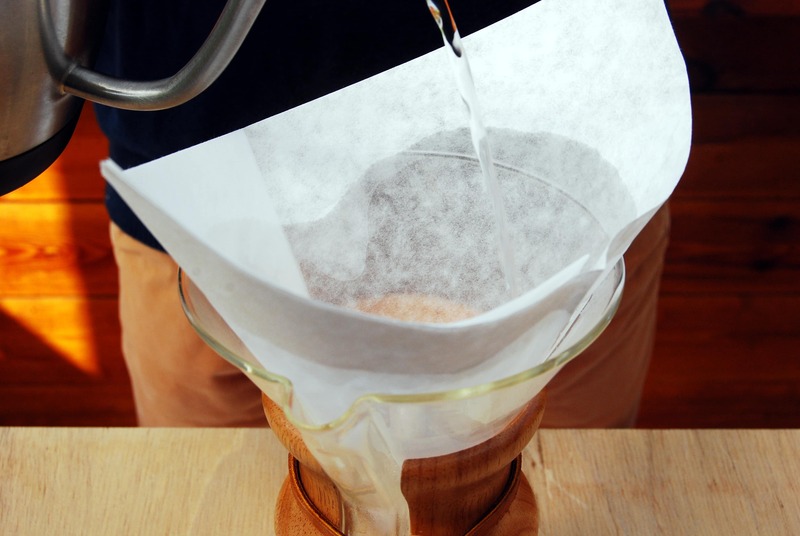 In addition to the timeless design, the relatively thick filter paper is a very special feature: It retains almost all coffee sediments and oils, so that you get a very clear coffee in which the acidity is very well defined and almost no bitter aromas get through the paper. 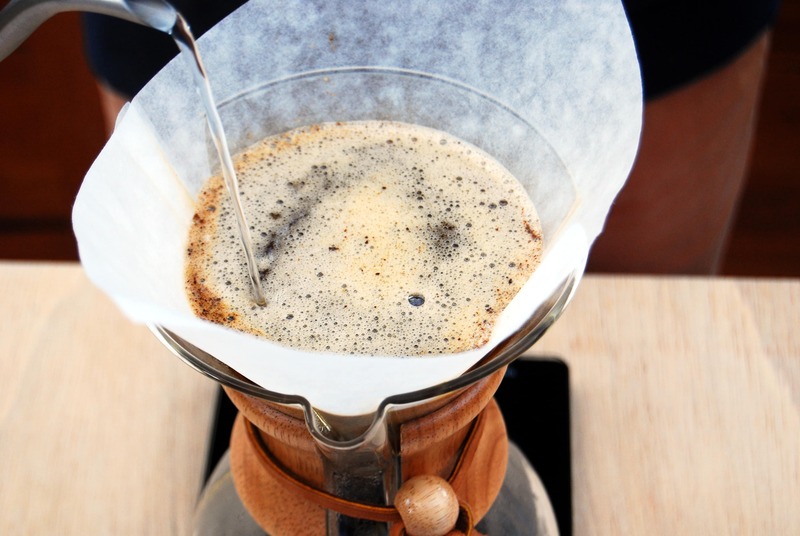 We recommend the Chemex for the following of our coffees: Pintail, Funky, Fire Finch, Sunbird and Steller’s Jay. Put in the filter paper. The three-layered side comes where the spout is. Rinse the paper filter for about 10 seconds to remove any paper taste. This also preheats the Chemex. 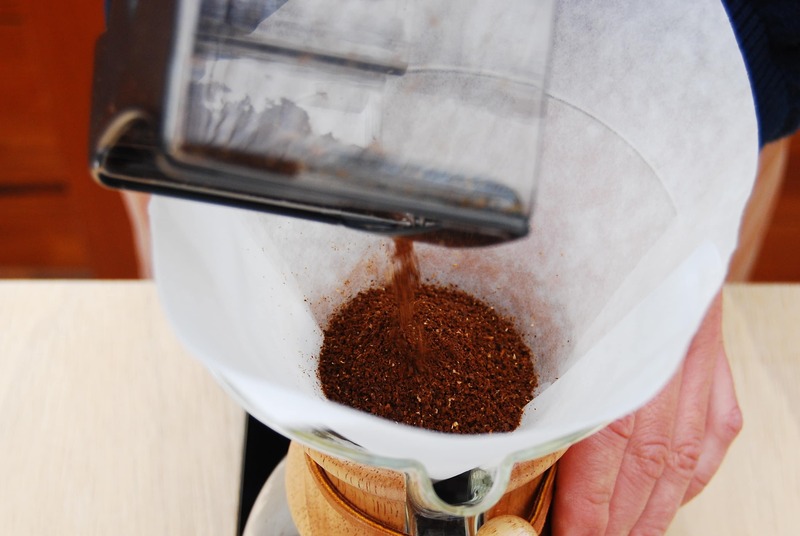 Add freshly ground coffee into the filter. You need 6.5 grams for each 100 ml. The grind should be somewhat coarser than for a Hario V60 and finer than for a French Press. First pour in 50 ml of water (93-96° C) and allow the coffee to “bloom” for 30 seconds. Add the rest of the water in circling motions. After about four minutes the water should have run through the filter. Swing the decanter a little bit to mix the coffee. Here you go: Enjoy an incredibly clear and straight coffee. If you can’t get it right or you have other questions about preparation, don’t hesitate to get in touch with us. Or come visit one of our home brewing workshops.